Prior to the introduction of self-assessment tax returns, just 1% of all returns were audited; with the introduction of self-assessment, this number will now be around 10%. It is highly likely that the number will be far higher if the HMRC is given more financial aid. What this means to the taxpayer, including anyone who is self-employed – is that there is a chance that every person who pays taxes will be subjected to a self assessment tax investigation within a 10-year period. A point of interest here is that previously it would cost the HMRC more to investigate the taxpayer than they will make. For every £1 spent auditing a self-employed person, they will only receive 30p. But looking at the influx of Contractors Tax Avoidance schemes being caught it’s not the case anymore. In last three years, the number of tax avoidance schemes caught and still running in the market, HMRC is committed to bringing all of them to closure. INVASIVE POWERS : HMRC has been granted the power to dig deeper into your private life and your business matters than you may be happy with. To tell the truth, with the new powers granted to them, the inspector assigned to you will seem to be treating the taxpayer in ways that border on invasive. Not only will you as the taxpayer be inconvenienced for months at a time, but you will also need to devote a great amount of your precious time to supplying paperwork to clear your name. This scrutiny could last for years. It leads us to think for a minute about the original cartoon for the taxman, which was used with the announcement of the start of self-assessed tax returns in 1995. The character was named ‘Hector’. On looking this up in the Dictionary, we see that the definition of the name means ‘to strongarm, to badger and try to scare’. When you file your self-assessment tax returns – which is your responsibility to do annually – HMRC then has a finite amount during which they can make inquiries about your submission. Your tax return contains all the details relating to your income, and HMRC is then able to look deeper into your affairs, including your profits, at their leisure. If you have been selected to be audited by HMRC, they will inform you or your accountant, by post, to let you know. They will require you to present certain documents, which we have detailed below, and which you must provide by a certain date. Should you fail to meet the deadline, you will find that you receive a fine. While there is an allotted amount of time which allows taxpayers to submit requirements, there is no mention of fines anywhere. This is obviously something which has been omitted by HMRC. Your designated inspector will require all your business records, which means your account books, receipts for all income and expenditure invoices, bank statements, chequebooks, and deposit books for all bank accounts. You may also be asked to produce non-financial records such as correspondence about any activities relating to your business, any receipts, and proof of advertisements which were placed for the business. By law, you are required to keep all your business records for a minimum of six years, so the assumption is that you will still have them in your possession. You can request for business records to be examined at the business premises. You may also be asked to produce all the personal records relating to any of your own private banks and building society account you hold, stocks and share receipts, and in fact any transactions of other income. While you are under no legal obligation to keep these records, you will be regarded as ‘in the wrong until proven innocent’ until you produce them. Therefore, it is vitally important that as soon as you choose to become self-employed you are aware of this, and do not destroy any personal records which may be required should you be audited. As important as this is when settling any audit or investigation queries, it is not shown any of the guidelines issued by HMRC. The only indication about this is made in the about HMRC self assessment tax investigation, although, by the time you read those guidelines, you may well have disposed of them. What is even more concerning under the new legislation is the fact that the inspector may demand to see the same information about a spouse or partner. The thinking about this by HMRC is that some couples may try to ‘hide’ transactions under another name or in another account. Legally, HMRC does not have to power to enforce these demands, and they are aware of this. People must be treated individually, and each case on its own merits. This, however, does not stop them from insisting to audit a second set of accounts if they feel like it. Some years ago, we had the opportunity to speak openly with a tax inspector, who understandably did not want to be named. He stated that should he ever have been refused (his own words), or if the taxpayer he was auditing did not immediately volunteer with information about a second person’s accounts, he simply started an investigation into that person. When HMRC was questioned about this they told us that they noted that this is unacceptable behavior and not the way they go about an audit. It appears that there is a difference between the way HMRC self assessment tax investigation is supposed to be carried out and the method in which it takes place. What is supposed to be the proper way, and how it is done, are two entirely different things. The leaflet about HMRC Investigations tells you that you will be notified in writing, of the reasons why you are being audited. HMRC say that they will always inform both you and your accountant, their reasons for an investigation. It seems that this practice is not always carried out. The fact of the matter is that HMRC most of the time makes a point of concealing from you the reasons why you are being audited. They will not tell you why your accounts are not in order, and they will most certainly not provide answers to your questions about why you are being audited. A case recently became known where a tax inspector audited the books of a small school that taught languages. The school had shown a slight growth over a few years. The small number students came from abroad. When questioned, the HMRC stated that the reason for the audit was that the Inspector, who lived in the same town as the school, had become aware of an increase in the presence of students about the town, and had concluded that this was a basis for an audit. This assumption is hardly a reason for an investigation. HMRC state quite clearly that they will ‘initiate an investigation only if we perceive your accounts or returns to be incorrect’. This may quite possibly be true, but it is not always the case of how the HMRC works. They now have the authority to initiate ‘random checks’ on any tax returns they feel appropriate, although they have admitted that they have previously focused on returns that they felt contained errors. It seems that HMRC has managed to obtain the power to do legally, what they, in fact, have been carrying out for many years. While in previous years they had to provide a reason to audit a taxpayer, now they do not have to do so. Officially it can be claimed to be a ‘random check’, which is now perfectly legal. HMRC has said that it will focus on cash businesses. The implications to this are horrifying. Every person who is in any way involved in a business bringing in cash is considered guilty until they have proven that they are innocent. Some time back the police were questioned about the ‘Suss’ law. This law allowed them to stop any person if they looked or acted suspiciously. They were then allowed to search them, based on suspicion. Police was accused of using the law as a weapon against minorities and subsequently forbidden to do this. The very same ‘suss law’ is now being used in the HMRC self assessment tax investigation against anyone who becomes self-employed. Accuracy: do your records accurately show your income and expense accounts? Have all incomes been noted, and all expenses claimed. Simply put, are the profits you are claiming accurate? Logistically correct: is it possible for you to live from the profits you claim? The auditor will have a picture in his mind of how you pay for food, holidays, shopping etc. Capital statement: should you have opened saving accounts, or put money away for ‘rainy day’, where did it come from? General information: if you have recently taken on a larger mortgage, how can you make the payments and where did you get the money from? Are the profits you presented to the mortgage company the same as what you have shown the HMRC? This audit usually looks at one year of your accounts, although if large mistakes or tax avoidance is uncovered in the HMRC self assessment tax investigation, this may be extended to more than one year. After looking through all your documentation, the inspector will almost certainly want to meet with you and discuss in greater detail his findings. While you have no obligation to meet him, this is sometimes the most efficient and fastest way to handle his questions. It is always a good idea to take your accountant with you if you decide to meet the inspector. While these meetings are mostly civil and polite, he will dig deep into your personal life and this may get tempers up a little. Having an accountant there will ensure that everything said is remembered. It also means that you are less likely to get angry with having your personal life investigated, and you can remain focused on the situation. If you have used a specialist tax investigation accountant to prepare your returns, it is logical that they accompany you to this meeting. If you have never used a specialist tax investigation accountant, this may be a good time to find one. Remember that, unlike any criminal who is innocent until proven guilty, you are going to need to prove that you are innocent. You are always assumed to be guilty even before you say a word. It’s best to regard the inspector as the prosecution. He is not the judge. Think of this as a political game where, if HMRC had the funds audit more people, they would be able to bring in more income. Therefore, it seems that it is vital to them, that most audits bring in revenue. Often the small amount of back taxes by taxpayers is far more than the costs of the audits. Additionally, there is the high cost of accounting which must be taken into consideration with every HMRC self assessment tax investigation. For the taxpayer there is a loss of income with time spent in court cases and meetings, making it sometimes a better choice to settle out of court, rather than fight ‘the system’. Suggestions have been made that the HMRC has offered settlements of smaller amounts to ensure that they boost their ‘wins’, as they know that many people will pay the penalty rather than extend the process. Although this has been wholeheartedly denied by HMRC, it is a widespread belief throughout the business sector. A very good example of this behavior became clear in a case we handled recently. The client’s turnover was a substantial amount. It became clear that after some months of going back and forth between client and HMRC, there was nothing amiss in the accounts. HMRC then challenged the client because he had claimed £2 every week as his allowance for the utility bills in the office in his house. This was, in fact, a very modest sum and he was well within his rights to claim it. The client declined to accept this, stating that he would rather appear in court than oblige them. On this occasion, HMRC retracted any claims they had and left him alone. Should and your accountant meet with an inspector, you will find that he makes notes of everything that happens. You will then receive a copy for your perusal. Should you find anything wrong with them, be sure to have them corrected because you will be asked to sign the documents to confirm that you agree. Now here is the kicker – if you do NOT sign them, it is taken that you accept them as a true record of the meeting. Be sure to read them, take advice if you need to, and return them. It is a sad fact, that not every taxpayer is always honest. The figure probably lies between what the HMRC says and what accountants say. If you find yourself in a position where you have been hiding something, this is a good time to own up to it. Your accountant will know the best way to handle the HMRC self-employed tax return investigation. It is better not to try to handle that yourself. If you choose to present your case without a specialist tax investigation accountant, make sure you apply the points above, which HMRC uses. It is not good enough to simply send them a pile of receipts and records, you must start to think in the same way as they do. Can you sustain your lifestyle based on your profits? If not, go through your business records and check if anything is wrong with your calculations. If you have messed up, it is better to accept this up front. Better that you discover your errors, rather than leave them to be found during the HMRC self-employed tax return investigation. This is important because if you voluntarily admit to making a mistake this will be considered when HMRC determines penalties. Before you go to the meeting, it is a good idea to have a hard copy of all the points in front of you, with your relevant notes, so you know what to refer to. This meeting will be stressful and you are very likely to forget things if you have not taken notes. If you are taking a specialist tax investigation accountant with you, make sure he knows what you are going to say. You must take all the documentation that the inspector has requested. It is always a good idea to have a different viewpoint, and you should discuss this with your partner or spouse. Often, they will see something that you may have missed. Most common errors are simple things like forgetting the additional income of child benefit. This is normally paid directly into the mother’s account. This is still a contribution and may be deemed ‘undeclared income’ if you do not mention it. Another area which is easily overlooked are things like cashing in an insurance policy, private sale of personal assets, gifts from family or friends, and similar incomes, which are all too easy to forget. If you do not report this, you may find that you are liable to a fine. Overall, HMRC are respectful of your confidentiality. They know that delicate situation may arise, and normally they will not release your information to anyone including friends, family, customers, relatives, and colleagues, without your consent to do so. There are some cases where they will disclose information without your consent or without authorisation. There is an obligation on the part of HMRC to work and co-operate with accountants, as you will find is stated in their leaflet on investigations. Most HMRC officers will be professional enough to abide by this. There are some who will not, and the situation may escalate where the inspector tries to stir up discontent between the accountant and the client. We once worked with a client who was directly approached by HMRC and informed that his previous accountant was not being co-operative. The client knew this was not the case and made a complaint to the District Inspector. When the case was finally resolved, the HMRC admitted to the client that they had made a serious error in the way they had handled the case. During the four years, it took to resolve the case, we suspected, and cataloged a good many instances of problems. These were passed on to senior officials and matters were resolved in a professional manner. These set out the guidelines for the investigation, and the way it should run. Should you realise that you have under-declared, or that the HMRC self assessment tax investigation has discovered additional income for which you are liable to be taxed on, the best course of action may well be to start making payments as soon as you can. This will ensure you avoid interest being charged to what you already owe the HMRC. As soon as you have accepted that you are liable to pay extra taxes, for any reason, the HMRC have the right to not only add interest, but also penalties. You will find that interest is added because it is deemed part of what you rightfully owe to HMRC. Basically, you had some of their money, and any interest that you could earn on it rightfully belongs to them. Interest is worked out at a set rate, although it varies through the year. Penalties are the punishment you receive for the fact that you did not pay the correct tax. Whether your error in paying was deliberate or accidental, the penalty will be applied. The degree of the penalty is greatly dependant on circumstances as to why there was an error. To finalize the investigation requires a document which you need to sign, called a form called a Certificate of Disclosure. This means that you have provided all the details that they asked from you, and have not withheld anything from them. Generally, HMRC will not instigate another investigation of your accounts simply because you have had an investigation. Overall this is true, although there have been cases where a person has been audited immediately afterward for reason at all. If you feel that you would like to make a complaint about the HMRC self assessment tax investigation, then you should be aware that there are different tiers of complaint levels. You will be able to take this up with the Officer in Charge. Each HMRC area has a person and you should go to the one at the HMRC area you are already dealing with. They will consider your complaint and take steps to resolve it. Most matters are quickly and efficiently resolved. If you do not feel that your complaint has been resolved, you may take your complaint up with an HMRC Controller. Every area has one, and they will take your complaint and try to resolve it with you. An Adjudicator is a person who considers complaints against the HMRC. He does not handle the investigation and is not involved in this at all. He merely deals with the problems which may arise between the taxpayer and the HMRC. Often these problems are like discourtesy, unfair treatment, and discrimination. If you feel that you have a case to discuss with the adjudicator, you must be sure to do this as soon as possible. If you have a complaint to make, it needs to be brought to attention within six months of the investigation. If it is left longer, the adjudicator will think that it is not that important, and may dismiss it. Should your complaint still not be resolved to your satisfaction, you may then take this up with the Ombudsman, who is an independent Parliamentary Commissioner. A point to bear in mind here is that the Ombudsman can see the complaints that the adjudicator has reviewed, but the adjudicator cannot see complaints brought up with the Ombudsman. Getting back to the HMRC self assessment tax investigation, once the auditor has all the information he requires about interest, unpaid taxes, and penalties, he will request that you confirm that you agree with him about the amount, or ‘make an offer’ as a settlement. If your offer covers an amount that the inspector believes to be reasonable and fair, your offer will be accepted. Once the final amount is paid, the matter will be closed. Often the inspector and the taxpayer will not agree on the settlement amount. In this case, the investigation will be passed to an independent appeal committee. This is one area that the HMRC will try to avoid, because often the decision is made against them, and they will use means ‘fair and foul’ to persuade you from following this route, so be aware of the way the HMRC thinks about this ending. Simply put, the inspector places on the table a penalty which you are charged with. If you counter this with an offer which is significantly less than his offer, and the investigation goes further, he will demand the full amount of penalty payment. Should the investigation go further, the HMRC is renowned for putting forward figures which are higher than they first suggest. Unfortunately for you, the poor taxpayer, every tax-related matter is regarded by the HMRC as crimes, whether they are or not. If you choose to take the matter further, you will need to ask for the leaflet IR37: This deals with appeals against tax. This is not normally offered, but it is very helpful in telling you the procedures which will be followed. What you will notice at this stage in the game that quite literally, all bets are off. While you may have had some co-operation from HMRC before, now you will be on your own. This will become an aggressive form of prosecution towards you. While the HMRC say that requesting an appeal will not be looked at as non-cooperation on your part, you will see that now you are labeled as the offender who will not co-operate with them. In truth, you have the right to appeal at any point in the investigation, although this does not happen very often unless there is a stalemate with neither party being prepared to back down or negotiate. Once that position is reached, the auditor will quite simply place a demand for payment on the table. This will be based on his own perspective of the situation. You will be given a month to counter with your own appeal. The whole case will be forwarded to the Commissioners. Should a deadlock be reached, you will find that the inspector merely makes a demand for money -called an assessment – based on his view of the situation. You will be given 30 days in which to appeal against this before you appear before the Commissioners. Appearing before the Commissioners is a formal affair, where both sides are given the opportunity to present their views. The Commissioners deal with the case based only on the evidence presented to them. You may call witnesses to support you. It is a very good idea to be accompanied by a specialist tax investigation accountant, who can handle your case professionally. You will find that the HMRC has a very aggressive field of solicitors working for them. Before you consider setting your case before the adjudicator, be sure to familiarise yourself with the procedure. You will have to provide documented details not only of yourself but also the complaint you are making. Be sure you know what you are asking for, such as compensation or an apology. You can request both together. Make sure you set out all costs which you incurred because the adjudicator can ensure you are compensated. If matters can be resolved between the investigator and the taxpayer, then the adjudicator will attempt to do this. If not, they will make another recommendation. HMRC is bound by these and will follow them. Given the circumstances, a HMRC self assessment tax investigation can be unfairly administered and heartless. The future of any self-employed person does not look happy. HMRC believes that the more HMRC self assessment tax investigation they do, the more revenue they bring in. There is an unfair bias towards self-employed taxpayers where it may be argued that HMRC use ‘scare tactics’ to force a payment, whether rightly or wrongly assumed. Self-assessment is an important step towards the HMRC bringing in extra revenue, as it is often easier to admit defeat and pay a penalty than it is to take matters further to where the self-employed taxpayer might be shown to be innocent. By focusing on self-employed taxpayers, the HMRC in effect frees up extra money which is needed for more complicated investigations. 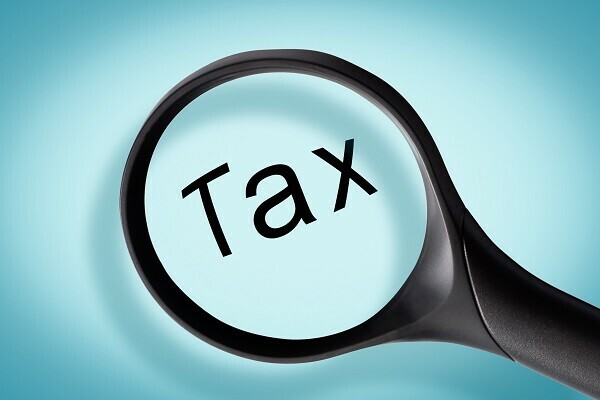 We are specialist tax accountants and have presented a number of clients to HMRC where they have been investigated for Tax Avoidance and non declaration of income in previous years tax returns. If you have received a letter from HMRC regarding self assessment tax investigation call our office now for free and confidential advice.